CAP first outlined how Medicare could take action to lower its drug expenditures in the 2015 report “Enough Is Enough: The Time Has Come to Address Sky-High Drug Prices.” The CMS’s proposals are similar to the Medicare-specific proposals included in the report’s broader package of reforms. 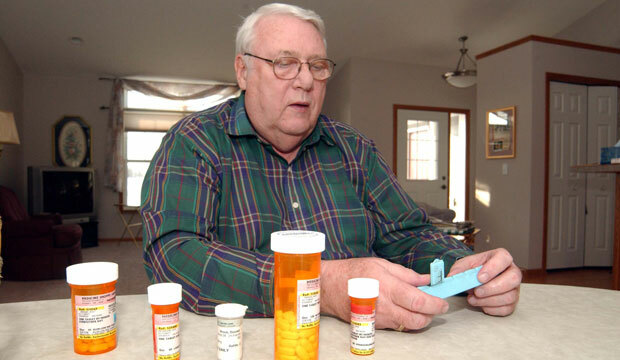 Medicare pays for prescription drugs in several different ways. Most prescription drugs are covered under Medicare Part D, which is Medicare’s prescription drug benefit. But only limited categories of prescription drugs—including drugs administered in doctors’ offices or hospital outpatient departments—are covered under Medicare’s Part B benefit. Medicare pays for these drugs based on the drug’s average sales price plus 6 percent of that price, or ASP plus 6. Essentially, the ASP is an average of the prices that the drug’s manufacturer charges in the commercial market, accounting for rebates, discounts, and other price concessions. Providers receive the Medicare payment directly, regardless of how much they paid for the drug. The ASP of a Part B drug can be thousands of dollars, and these drugs are more likely than other new drugs to be costly biologics—drugs made from living cells. Medicare pays for 80 percent of the ASP plus 6 amount, and the beneficiary is responsible for the other 20 percent. Most beneficiaries have supplemental coverage that pays for the remaining 20 percent, such as a Medigap policy or an employer-sponsored retiree health plan. But 10 percent of Medicare beneficiaries—approximately 6 million seniors—lack supplemental coverage. Since 6 percent of a higher priced drug generates more revenue for the provider than 6 percent of a lower priced drug, selection of the higher priced drug may generate more profit, depending on the provider’s acquisition costs for the two drugs. Under this system, drug companies do not have to worry about the usual trade-off between higher price and lower demand. In fact, the reverse is true: Higher priced drugs have a marketing edge, which in turn further increases revenues for the drug company. The proposed model includes two phases. During both phases, Medicare plans to evaluate quality, access, and timeliness of care, as well as patient experience. Under phase I, Medicare would keep the ASP plus 6 payment methodology in roughly half of the country. In the rest of the country, it would make the add-on payment more uniform between drugs with different prices by switching to the ASP plus 2.5 percent plus an additional flat fee. Policymakers would then study if prescribing patterns change when money is removed from the decision-making process. It is likely that this change will encourage doctors to prescribe lower-cost medications when appropriate. Moreover, this change has the potential to exert downward pressure on overall drug prices. This would help lower drug costs for both Medicare and its beneficiaries in two ways. First, under the current system, drug companies offer volume-based discounts—especially for extraordinarily high-priced drugs—to large institutional providers. These providers acquire the drugs at discounted prices, and then Medicare pays the provider at the ASP plus 6 amount. Smaller, community-based physician practices may not receive the same discounts, and doctors at those practices argue that the ASP plus 6 percent amount protects them from higher acquisition prices. But the current model does not protect smaller practices as much as it allows drug companies to focus large discounts on select large hospitals and physician groups. The CMS’s proposed model could incentivize drug companies to restructure their prices so that there is less variation, giving smaller doctors’ practices better prices. When Medicare first moved to the ASP payment structure from the previous methodology based on average wholesale price, evidence showed that drug manufacturers adjusted their prices. Second, the model could discourage manufacturers from continually increasing prices on existing drugs at a rate that outpaces inflation. Today, Medicare pays providers based on the ASP of the drug from six months earlier. The 6 percent add-on essentially gives drug manufacturers cover to raise their quarterly list prices up to that amount because “manufacturers may be reluctant to raise drug prices by more than 6 percent within a quarter since providers might face losses on purchases during the period before Medicare updates the reimbursement rate to reflect a higher ASP.” Lowering the add-on amount could further limit price increases. In phase II of the model, the agency would test alternatives to the underlying ASP payment amount—not just the add-on payment. For example, Medicare could assess how effective treatments are and pay more for those higher value medications. The CMS also proposes to discount or eliminate the 20 percent beneficiary coinsurance for high value drugs, which would benefit millions of seniors. CAP noted in its comments that it is critical that Medicare’s decisions about which drugs are high-value are transparent and based upon peer-reviewed clinical practice guidelines or independent, third-party evaluations of a drug’s comparative effectiveness. CAP also suggested several other modifications to the proposed rule. For example, CAP recommended that the CMS create a dedicated ombudsman to respond to beneficiary and physician inquiries and complaints during implementation of the new model. Almost two-thirds of Americans support government action to lower drug prices. The CMS’s action is a critical first step. The proposed rule would enhance the doctor-patient relationship by limiting the financial incentives to prescribe costlier treatments. It would also allow the CMS to evaluate if changing the ASP plus 6 payment methodology improves patient care and lowers costs. The CMS should finalize its proposal. Maura Calsyn is the Director of Health Policy at the Center for American Progress.